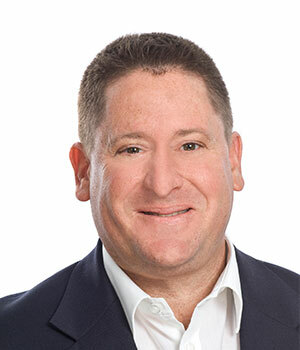 Jonathan Marks holds a Masters in Business Administration (MBA) degree from the University of Cape Town’s Graduate School of Business, as well as a Doctorate in Philosophy, focused on entrepreneurship, from the University of Cape Town’s faculty of engineering and the built environment. Dr Marks was founding director of the Raymond Ackerman Academy of Entrepreneurial Development (located at UCT) and was responsible for entrepreneurial knowledge management at the Allan Gray Orbis Foundation. He has taught entrepreneurship, business planning, new venture planning, innovation, corporate innovation and entrepreneurship and entrepreneurial thinking at the University of Cape Town for the past twelve years. His teaching and research has crossed a range of disciplines including commerce, science, engineering and humanities, and has included over 1 000 student projects and business plan projects. Wilson-Prangley, A., Marks, J., & Sutherland, M. (2015). Olitzki Property Holdings catalyzes change in Johannesburg (Case Study No. 9B15M118). Ontario: Ivey Publishing. Barnard, H., & Marks, J. (2014). Microsoft South Africa: Corporate entrepreneurship and innovation (Case Study Noo. 9B14M161). Ontario: Ivey Publishing. Dr Marks is an experienced entrepreneur, having developed and successfully sold business ventures in the real estate and information technology sector. Dr Marks continues to consult to entrepreneurs and corporates on aspects of strategy, innovation, and entrepreneurship. Clients have included: The World Bank Institute, Free University Amsterdam, Woolworths Financial Services, and the Western Cape Provincial Government, as well as a large number of smaller and start-up ventures. Founding director of the Raymond Ackerman Academy of Entrepreneurial Development loading.